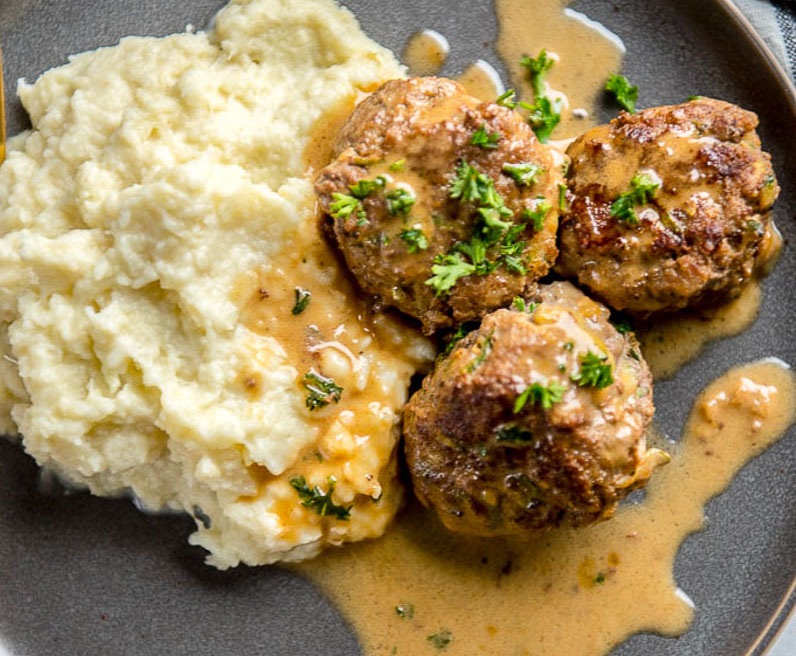 Welcome to #Whatscookinwednesday and this Easy Keto Swedish Meatballs Recipe. Meatballs are one of those meals that can be incorporated into a ton of different types of other meals. They can be eaten as a side dish, appetizer, or main course. And I can’t think of anything better today than a plate of Swedish meatballs with some delicious cauliflower. I am not helping out with the cauliflower recipe but I will make sure you have this delicious meatball recipe. Check out the nutritional facts and recipe below! Yields 6 servings (3 meatballs each serv). Each serving comes out to be 544 Calories, 46g Fat, 1g Net Carbs, and 28g Protein. My name is Len Benoit and I’m the owner/trainer at Fit 1 in Toronto/Etobicoke. I didn’t invent this delicious #WhatscookinWednesday Easy Keto Swedish Meatballs, I spied it on ketogasm.com, but I will enjoy it right along with the rest of you. If you are looking for gyms in Etobicoke or Toronto and want more information about my Women’s and Co-Ed Bootcamp, Youth Sportfit Program, or Personal Training classes, give me a call at 647-776-7776 or visit the website at www.fit1bootcamp.com. Come in for a FREE 7-Day Trial membership if you are friends with one of our members, if not, head on over to the website to learn more about our 28 Day Quick Start Challenge and find out why FIT is right for you!